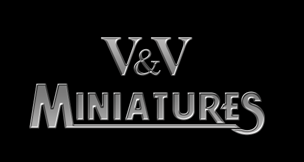 Dunkeldorf Miniatures is an upcoming line of 28mm Heroic Scale Fantasy Miniatures produced in metal. Great adventure will begin on Kickstarter in the spring of 2019 – first Kickstarter will be focused on the characterful townsfolk who reside in Dunkeldorf. The flutist from Hameln or the Ratcatcher from Hameln (German: Der Rattenfänger von Hameln) is known for folk traditions written down among others by the Brothers Grimm. I am currently continuing the construction cycle of my Averland band and add the captain of this yellow-black team. I took the Landsknecht model from Warlord Games again, adding to it the Empire soldier head from Games Workshop. I used some bits from GW, and skulls and corpses are a gift from Rotten Factory. "The Averlanders are not so bad for people, they have a hard character, they stick to the word and they do not mess with their nose like the Reiklanders, they brew the best beer in the south! It's not as tasty as ours, but at least it can be swallowed!" - dwarf merchant. The Captain of a mercenary warband is typically a middleaged veteran soldier of the Imperial army, most likely he was a sergeant or other petty ofﬁcer. 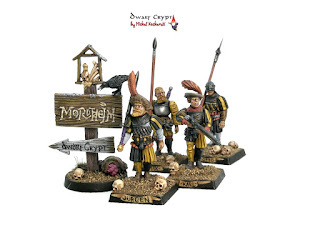 I invite you to the first review of a set of models that I received from Samuel from SABRE Miniatures. today. And as part of the storytelling, I invite you to read the text on the second theme (the first Battle on the Green Fields) of the most important battle of Tolkien's hobbits, the Battle over the Water. 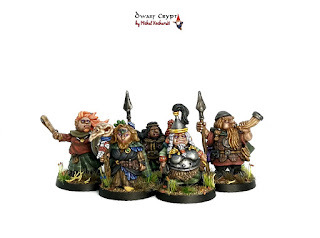 Today is the weekend and I am inviting for a new entry on DwarfCrypt! 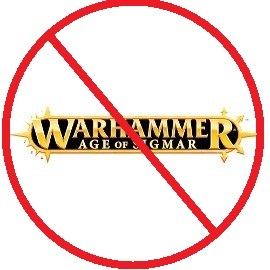 It will be green and in the climate of my favorite oldhammer (and middlehammer, for which my greatest expansion into Warhammer was). 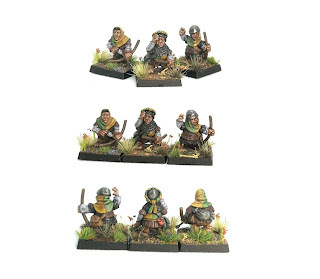 Recently, my long-awaited package from Warmonger Miniatures, in which there were a few orcs, to my emerging band of green brutes. And in this enthusiasm I painted one of them. I added excellent shields from Rotten Factory to the original model (and the previous orc). Orcs dont establish kingdoms or states as people do. 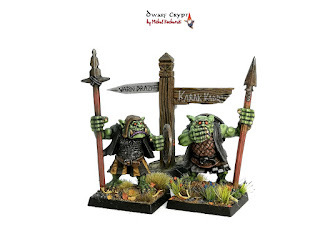 Still, there are lands that are under total control of the Orcs or their smaller cousins - the Goblins. Most Orcs distinguish between two types of land: "green" and "other pieces". The more ambitious warlords see the world more accurately: "my green", "green what will be my" and "other pieces". 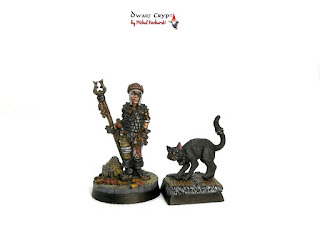 Today I return to the Beardfolks models received from David from Northumbrian Tin Soldier. For painting, I chose one of the more armored figures from those painted so far, depicting the dwarven commanding officer, queen or high-born. 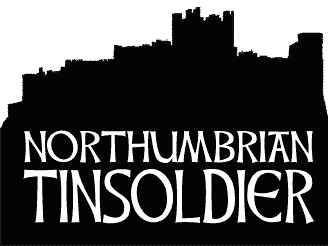 Northumbrian Tin Soldier FBhttps://www.northumbriantinsoldier.com/I do not know why but for the first time when I saw this model in the raw state I associated with the image of one of the Germanic goddesses (yes, I am a great admirer of Germanic and Nordic mythology) about which I would like to tell my Honorable Visitors today. I think that many people may know Mother Holle (Frau Holle from German) from the fairy tale of the Grimm bros.
She is an old woman living in the world at the bottom of a well. It is said that anyone who enters her kingdom will be rewarded with exactly what he deserves, whether it is good or bad.